I’ve had my civic for a while now and it’s getting close to the big 300k. I have replaced my headlights twice (as a pair) and even the high mount rear brake light. I knew at some point the turn signal light(s) would go, the drivers side turn signal to be exact. I went down to the local auto parts place and found the correct bulbs (which came in a 2 pack). I figured I would replace both as a pair (Sylvania part # 1157ALL). 1. If you are changing the bulb on the driver’s side, start the engine, turn the steering wheel all the way to the right, and turn off the engine. 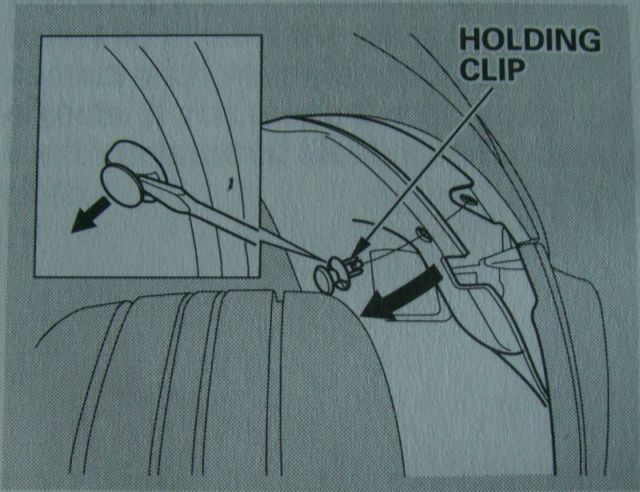 If you are changing the bulb on the passenger’s side, turn the steering wheel to the left. 4. Remove the socket from the headlight assembly by turning it one-quarter turn counterclockwise. 7. Insert the socket back into the headlight assembly. Turn it clockwise to lock it in place. 8. Test the lights to make sure the new bulb is working. 9. Put the inner fender cover in place. Install the holding clip and tighten it securely. This entry was posted in Reference on July 3, 2009 by Cote.